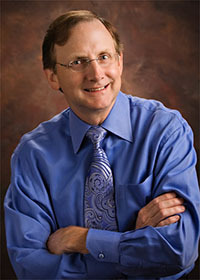 John Scott Anderson graduated from the University of Texas at Austin School of Pharmacy and was licensed as a pharmacist in 1985. He practiced retail pharmacy and then developed a specialty in compounding medications. With compounding, he gained the ability to customize treatments for his clients. By implementing this he realized how lacking the traditional pharmacy approach had been in its focus on treating patients’ symptoms instead of dealing with the underlying cause. Custom compounded medications were just a first step for John. He incorporated clinical nutrition into his practice by earning his CCN in 1998. He began to see how the use of functional medicine and nutrition, as well as lifestyle modifications, could substantially impact overall health. Today, John’s approach to health and healthcare incorporates not only traditional methods but many complementary and functional medicine modalities as well. John’s focus is on the safe use of pharmaceuticals, nutritional supplements, and herbs to optimize patient safety and health.